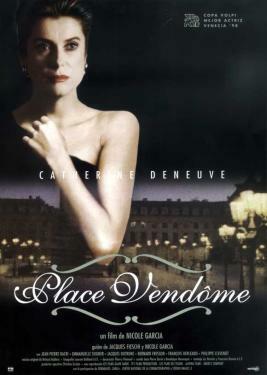 The death of Vincent Malivert, director of a prestigious jewelry shop on Paris' Place Vendome, has left his wife Marianne in a terrible predicament. A man driven to financial ruin, his life was apparently a mess, but he managed to hide this from Marianne. In the past, Marianne was an active jewelry broker herself. She worked with another man, Battistelli, and loved him intensely until the day he betrayed her. For a long time now she has lived in a state of alcoholic stupor. Then one day she discovers seven magnificent diamonds which her husband had stashed in a secret chest. The beauty of these gems slowly awakens her interest in life. While researching the gems, Marianne discovers a secret war between the DeBeers and a Russian cartel which threatens their monopoly. She meets up with Battistelli again. He is part of the cartel and is interested in taking possession of Marianne's diamonds. She now holds in her hands the destiny of the man who once betrayed her. But is she interested in vengeance?